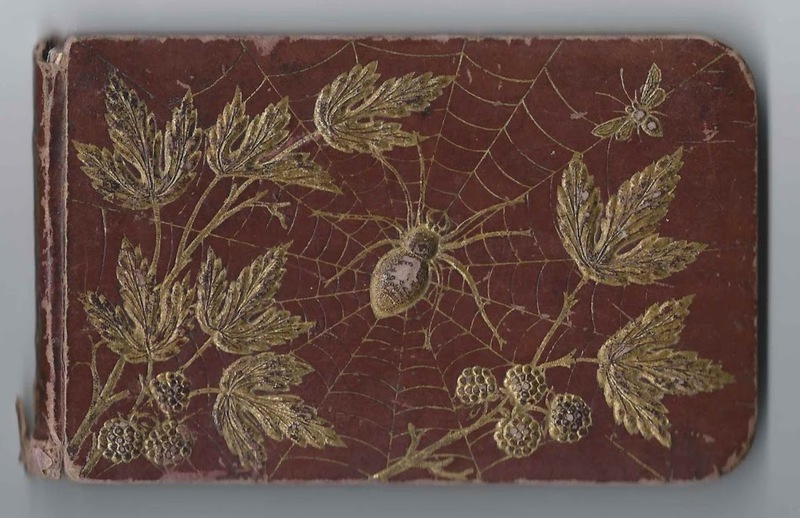 1883-1894 autograph album that reportedly belonged to Annie Belle Gee, "Belle", of Pownal, Maine. 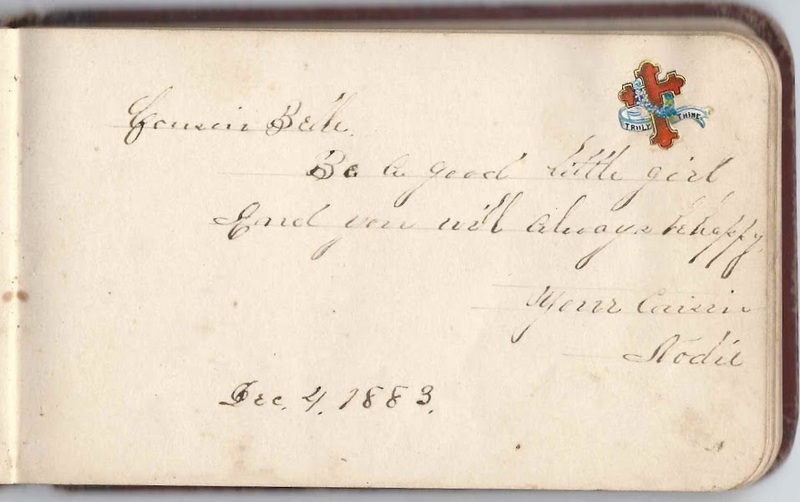 Annie signed two pages in the middle of the album, one of them on January 21, 1894. 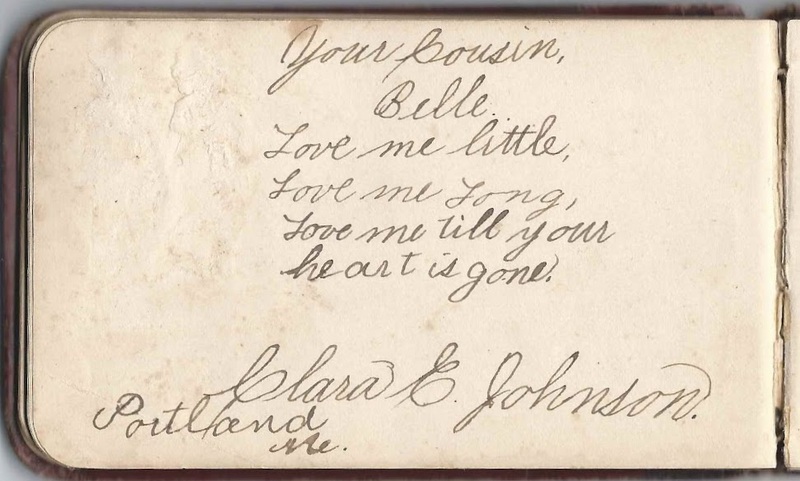 The album is approximately 5-1/2" x 3-1/2" and contains the sentiments of 21 of Belle's relatives, friends and teacher. An alphabetical list of the signers appears at the end of this post. Annie Belle Gee was born 18 February 1879, the daughter of George Edward Gee and Abbie A. (Ells) Gee. I found a network of websites with Ells genealogy that provided some interesting stories of the Ells and Gee families, including of Belle and her older brother Berton Ells Gee, who lived out their lives on the family farm. 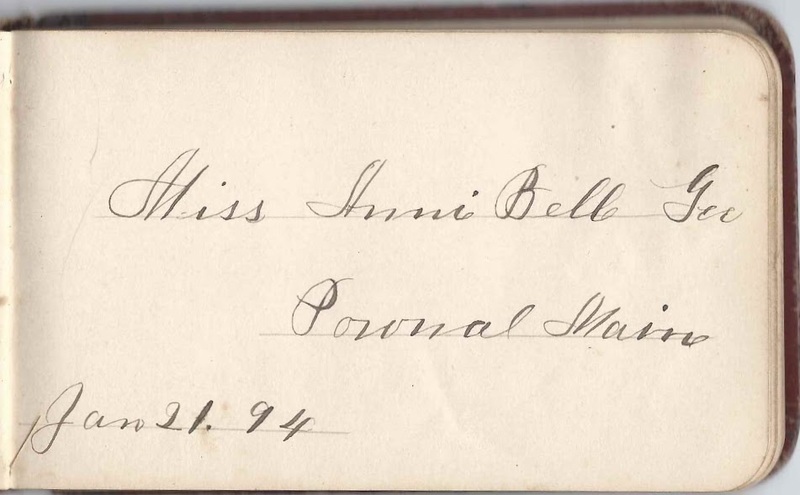 Mary Brackett of Pownal, Maine, inscribed a page on January 24, 1884, and called herself Belle's aunt. Georgie Johnson and Clara E. Johnson of Portland, Maine, called themselves Belle's cousins. 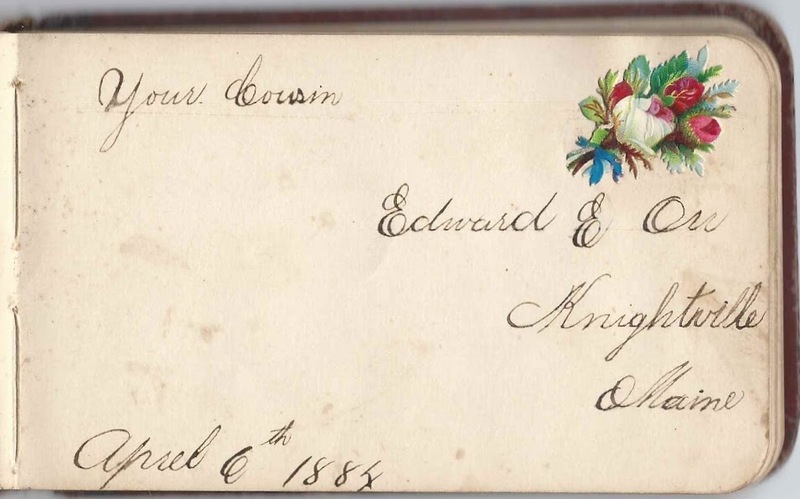 Edward E. Orr of Knightville, Maine, signed a page on April 6, 1884, and called himself Belle's cousin. 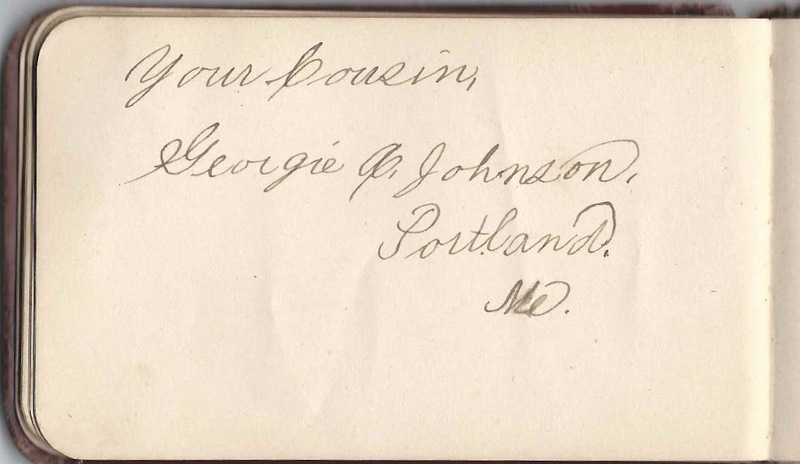 Another cousin, whose name I couldn't decipher, perhaps Rodie, signed a page on December 4, 1883. Belle's teacher, Hattie Tuttle of Pownal, Maine, signed a page on November 12, 1886. Annie Belle Gee of Pownal, Maine; album owner. She signed two pages in the middle of the album. Georgie Johnson of Portland, Maine; Belle's cousin. Middle initial might be C or ?